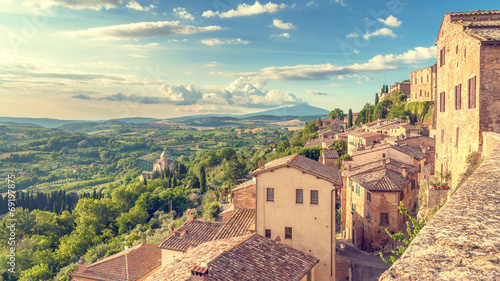 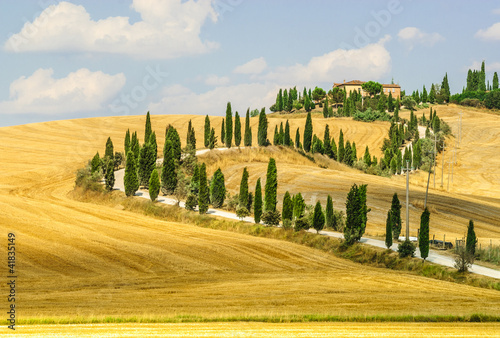 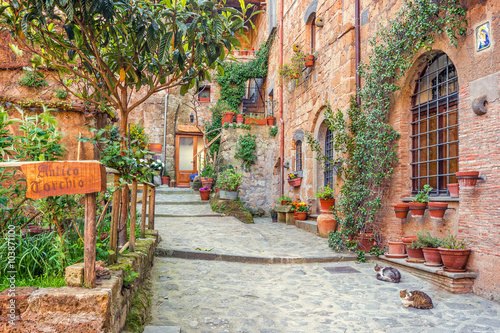 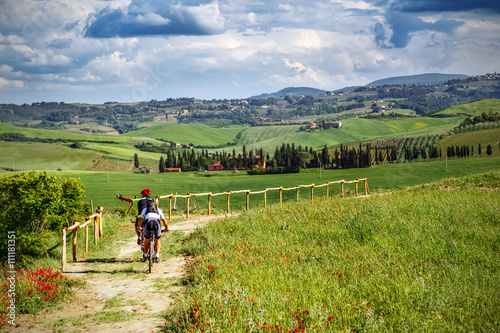 summer landscape of Tuscany, Italy. 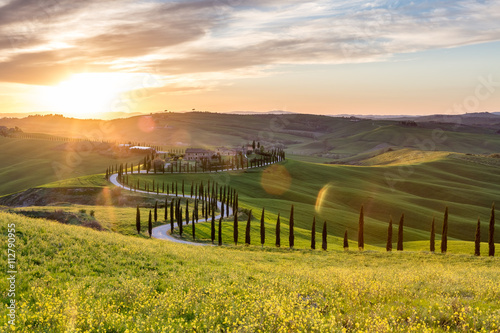 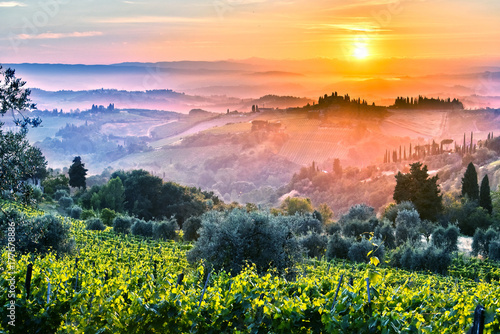 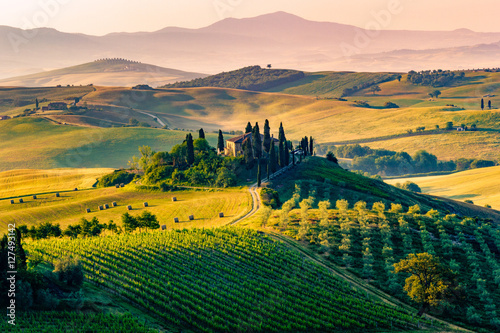 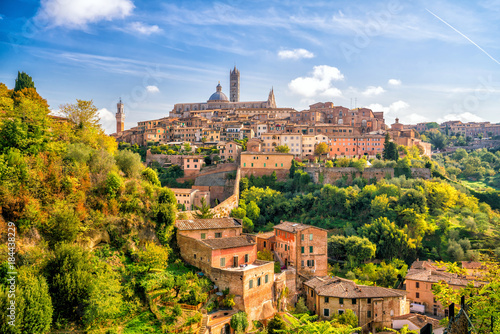 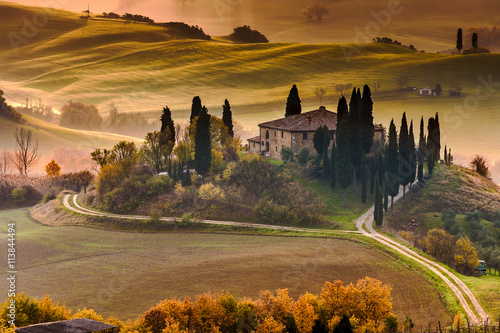 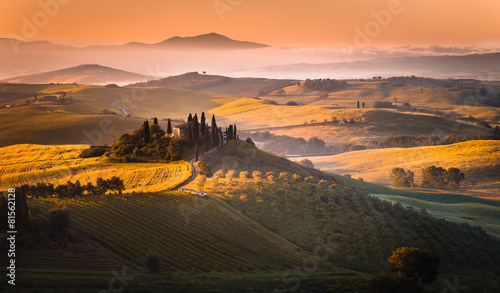 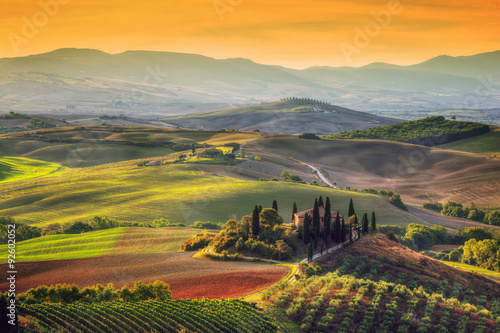 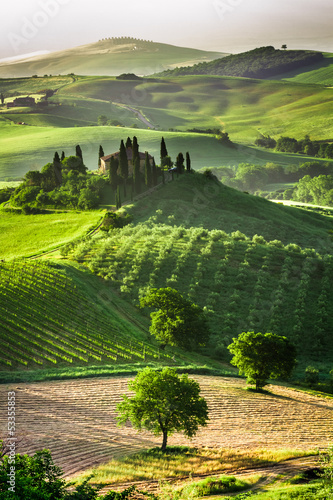 Tuscany landscape at sunrise. 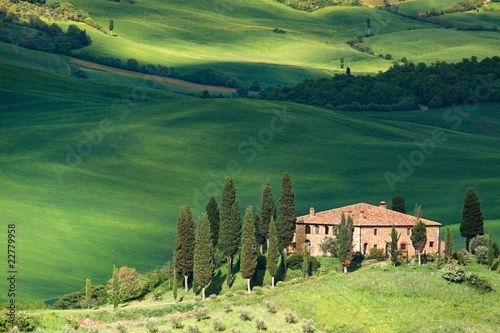 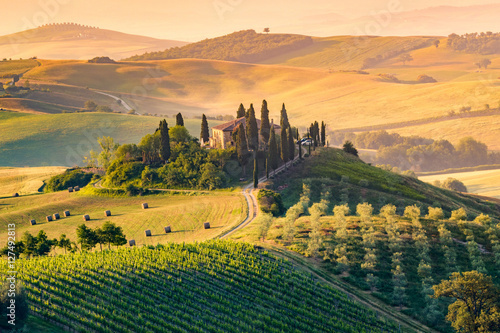 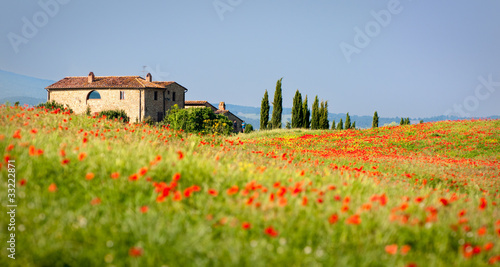 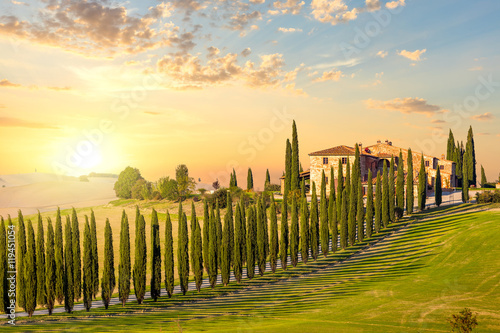 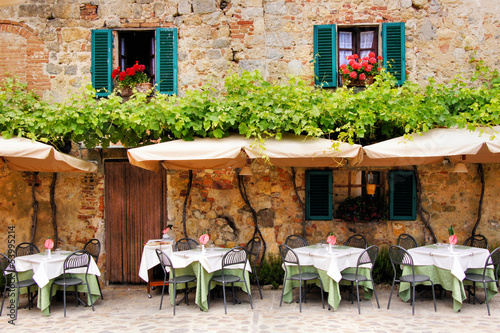 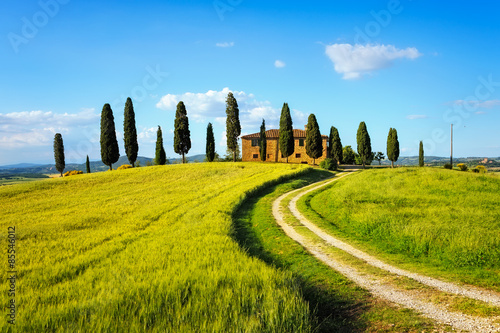 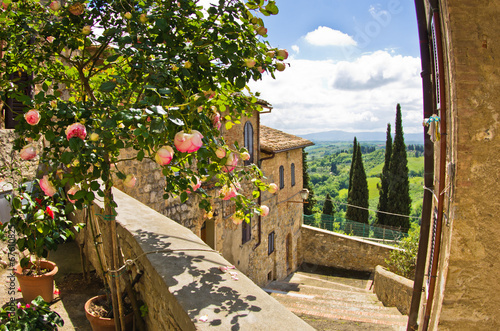 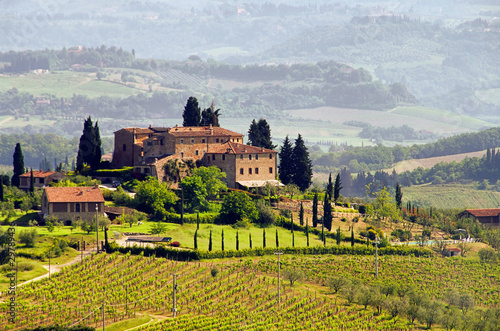 Tuscan farm house, vineyard, hills. 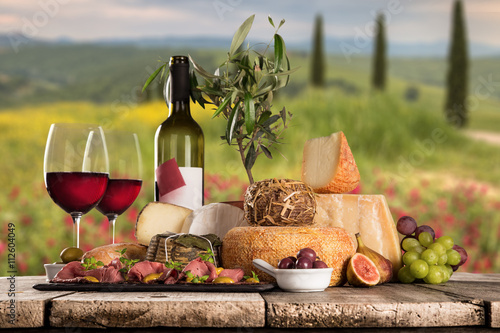 Delicious cheeses with wine on old wooden table. 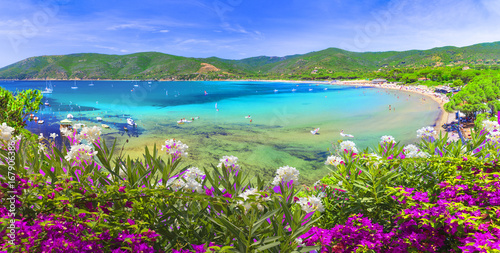 Laconella beach, Lacona region, Elba Island, Tuscany,Italy.